Ever wondered how when one door closes and another one opens unexpectedly like it was meant to be? That is what happened to me this week. Between Overland Expo event in Flagstaff, AZ and the Rubber Duck race fundraiser in San Dimas, CA, I had a week to kill between the two events. Originally I was planning to go down to Baja and do some volunteer work at Rancho Surdo Mudo but somehow the plans fell through the crack. So here I am without a plan once again and still wanted to head to warmer pasture to recuperate from my cold that I got at Overland Expo. A friend of mine suggested that I get in touch with one of his friend in San Felipe to arrange for a stay. However, that friend is no longer living down there and he put me in touch with one of his friend. This is where I met Wendy Doman, owner of Crystal Blue Healing and Teaching. She has never has hosted a wayward traveler before and didn’t know what to expect. On top of that, she was expecting her sister to come into town shortly as well and didn’t know if it would conflict with one another. After a five hours ride the long way around, I finally arrived into San Felipe and headed to her shop behind the Parrot Cracker Bar & Grill. She wasn’t there so I gave her a quick call and she said that she was in town running errands and will be back shortly. She suggested that I hang tight at the cantina for a bit. As it turned out, her sister is coming out the week after that I will be here so she will be able to host me for the week. 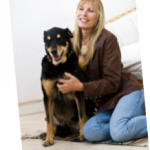 Wendy is a cancer survivor of twenty-one years which has directed into a more holistic path of recovery after a near fatal experience with radiation. She began studying Chinese medicines, mediations and massage therapy as way to heal her mind and body. After her study was completed, she started teaching to others what she learned to help others to find serenity and recover from their personal issues. However, about eleven years ago Wendy felt she needed to change in scenery from the blistering cold weather of Ontario, Canada. So one day, she decided to sell all of the her materialistic things and loaded up what she could into car and head south not sure of her destination. At first, she landed in Austin, TX and after a month she felt that she needed to be on the move again. She didn’t feel at home there. So, once again, she was on the move and ended up in Sedona, AZ. Immediately, she felt at peace there but unsure what to do or where to stay but house sitting always seems to fell into her lap. It worked for a while but she still felt a calling somewhere else. Then she heard about a project working with the indigenous indian in Baja California, Mexico, the Paipai. A gentleman took her and another guy up the mountain north of San Felipe and left them there without any resources. They had to learn to work with the natives and to live off the land for about four months. 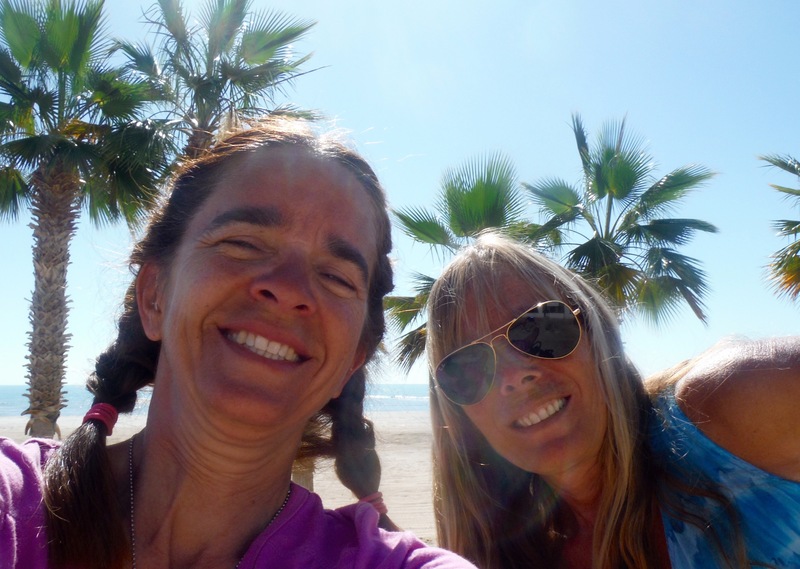 This is where she discovered that she had the inner strength and courage to move off the mountain to seek a new path which led her to San Felipe to open up her own practice offering reflexology, massage and spiritual healing workshop. She also have developed a natural remedy for various bug bites and a healing mist to relieve stress and tension. She has had many ups and downs with her practice. Now after nine years, practicing here, she has gained a prestigious status as a healer and have quite a few followers among the resident here. The other day when we decided to play tourist and visit the Seafood Festival in downtown, I got to witness her ability to connect with the residents and how they seek her out for advice for natural remedy for their ailments. I’m glad that everything happened for a reason, our path crossed and I got to hear her stories of experiences, strength and hope. At the same time, I was able recover from my cold and to take to the time to grieve for the loss of my husband which I wasn’t able to do last week at the Expo since it would have been our fourth anniversary. I’m starting to believe that since I couldn’t grieve properly and held all that emotions within inside me that I weaken my immune system which is why I got sick. I need to remember to take the time to rejoice, grieve and to honor his memories as I progress on this journey. Yes Randy, we gave each other what we needed. Thank you for the hook up! Thank you Ginamarie. For me it was also a wonderful experience. Thank you Randy. Oh no THANK YOU Wendy for everything you have given me in the short time. It was much needed! So glad you are making this trip Gina. We are all behind you, in support!! Ride On Sis! I’m proud of you!! Thank you Tom….I couldn’t done it with the support and the love of you guys at the TW200forum. Hopefully, I will get you meet you soon in person. The road teaches us so much. I’m looking forward to reading more of your posts. Yes you’re correct that we learn so much ftom the road and thank you for following my blog. Funny old thing, this life business. This week kicked off really c#%p, but your post has really lifted me and just like you said, one door has closed, then amazingly, another flew open! The crap came from work and I came to the conclusion that I could do without it; by the end of the week I had retired! Not bad at 55!!!! Funny feeling though, really liberating and free once that other door opened and so much more time to ride! No worry…I knew that you were teasing me and give you permission to do so 🙂 Sorry to hear about work. Its a funny thing when you realize that you don’t have to work, how much you can’t stand the crap that goes along with it. My last three months of work, I tolerated less and less of it. I remembered thinking back how I always put up with it thinking it was normal. Never say never, the road winds many different turns. I’ll keep looking out for a little Purple Terror around every bend!